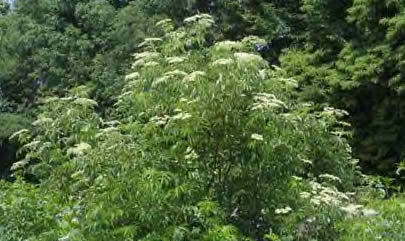 Our annual herb walk and healing swim celebrated the elder plant,Sambucus canadensis. This plant is currently beckoning to us all along the bicycle trace, and along the corridors to New Orleans from Hammond and Slidell. The bark, roots, flowers, buds, berries, and leaves can all be used to open respiratory, lymph, bowel and kidney channels, and it builds and detoxifies the blood. Not only for medicine and food and good spirits, the elder can provide us with sounds and scents that stimulate our awareness and immersion in the world. "Sambucus" comes from the word sambuka, for pan-pipes, which can be made from its hollow stems.In the year 800, Charlemagne decreed that an elder be planted in every yard in his realm, to be a "medicine cabinet" ready for immediate use. While gathering elder flowers along the trace, I mused on the offerings of the elder (which are present in all stages right now! ): the flower, the bud, and the berry.I was reminded of the trinity of the goddess: maiden, mother and crone. The sweet smelling flowers can be made into a tea or used as a facial steam, and will purify the blood, open the lungs, the pores of the skin and the bowel.The buds can be pickled and used as capers in salads and the berries are full of vitamin C that can made into cordials, jams and pies.Thank you, elder!